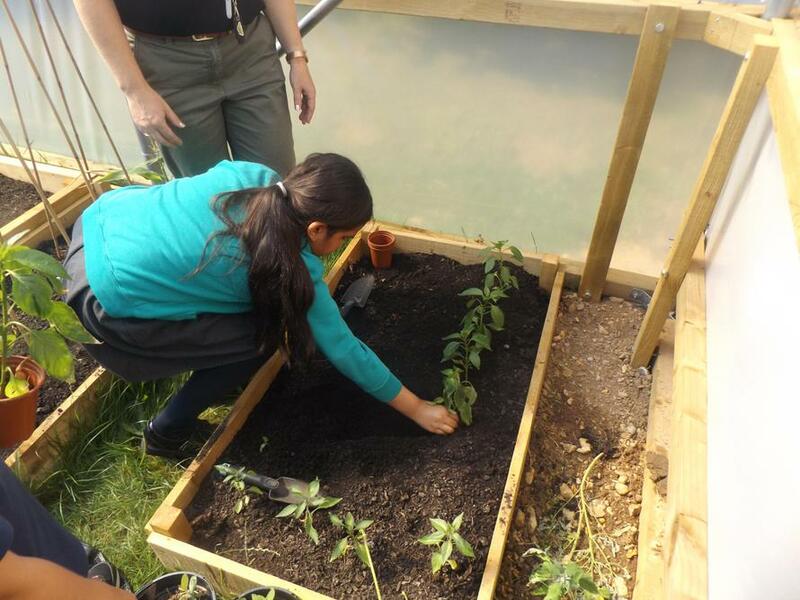 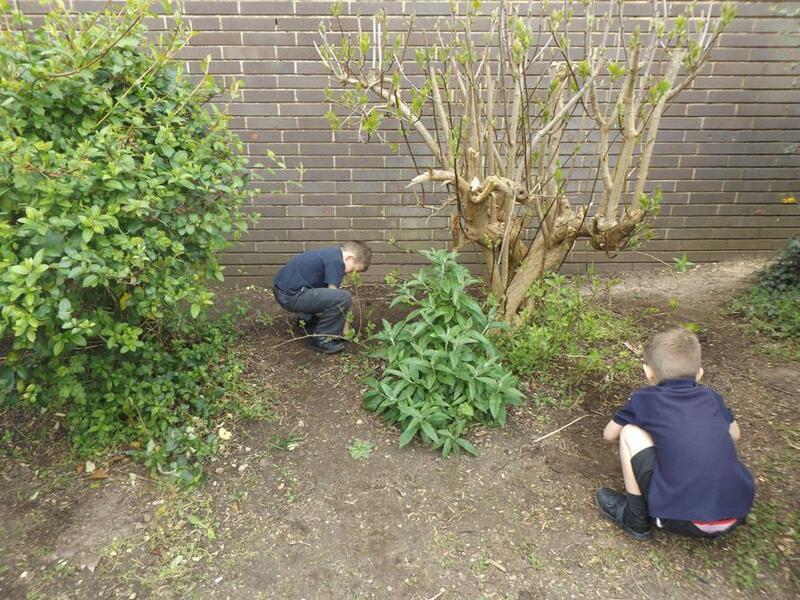 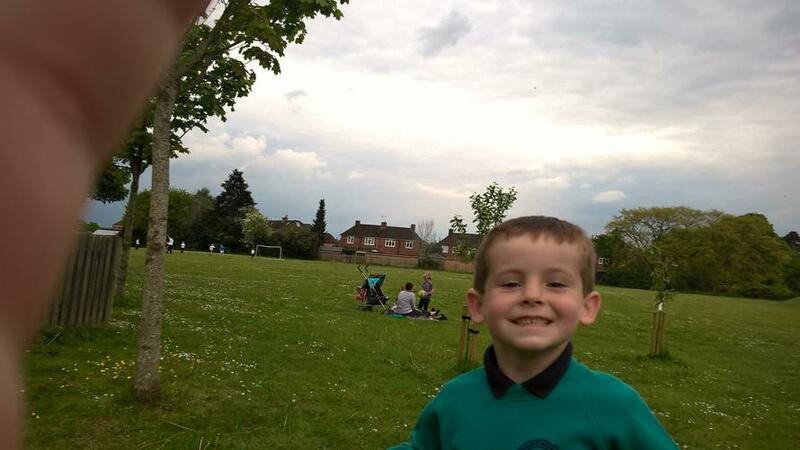 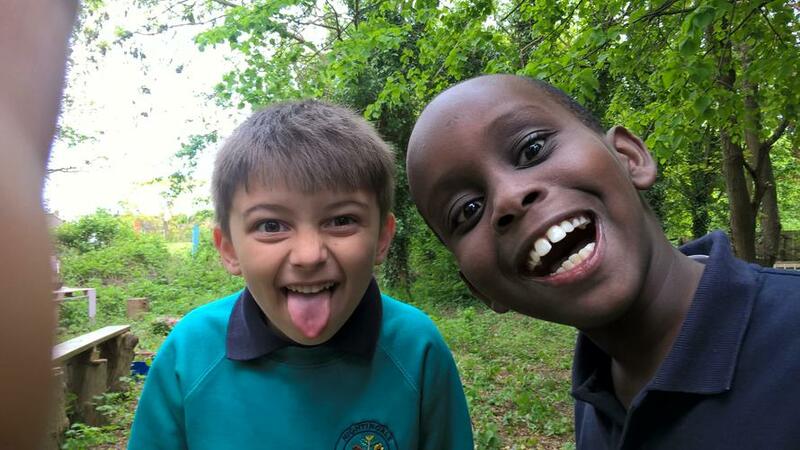 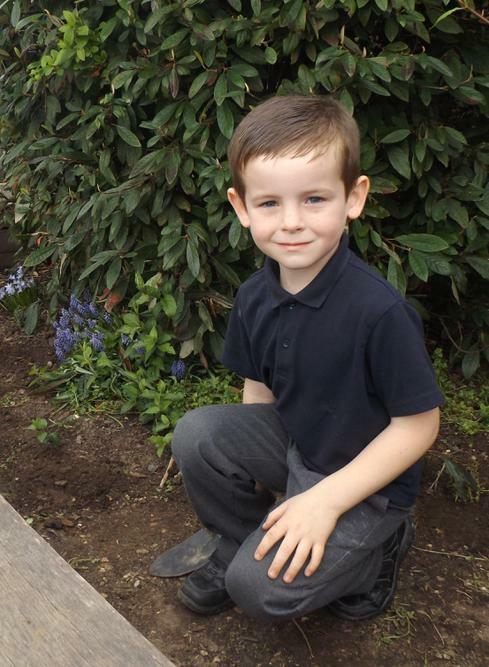 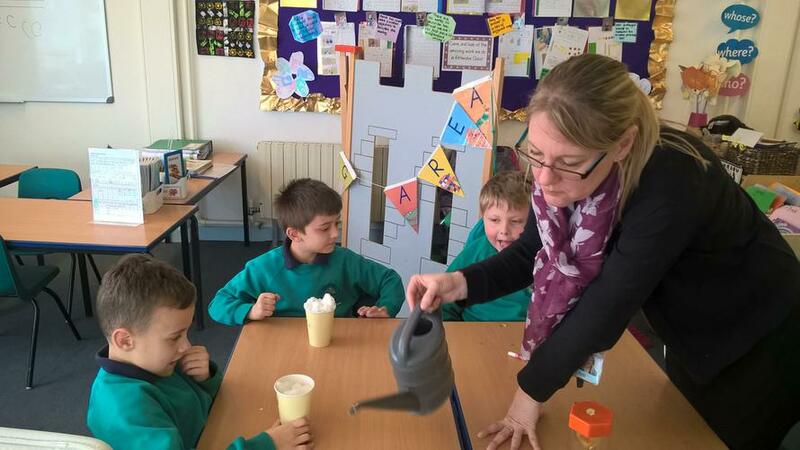 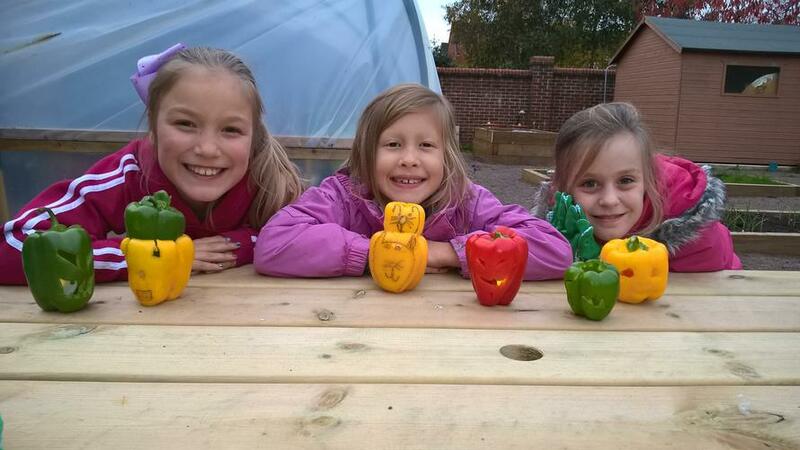 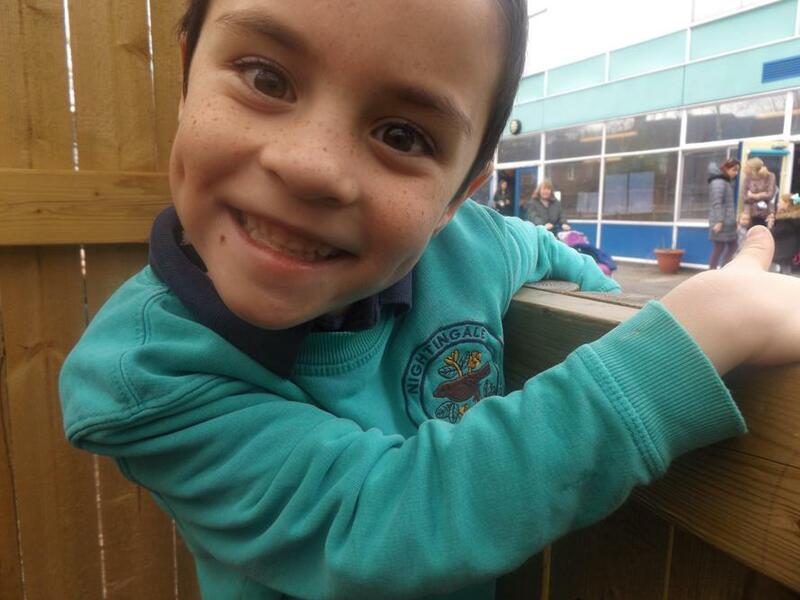 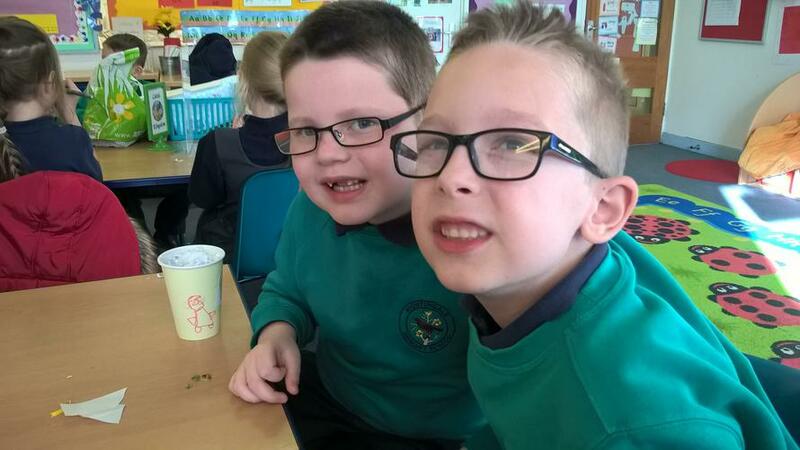 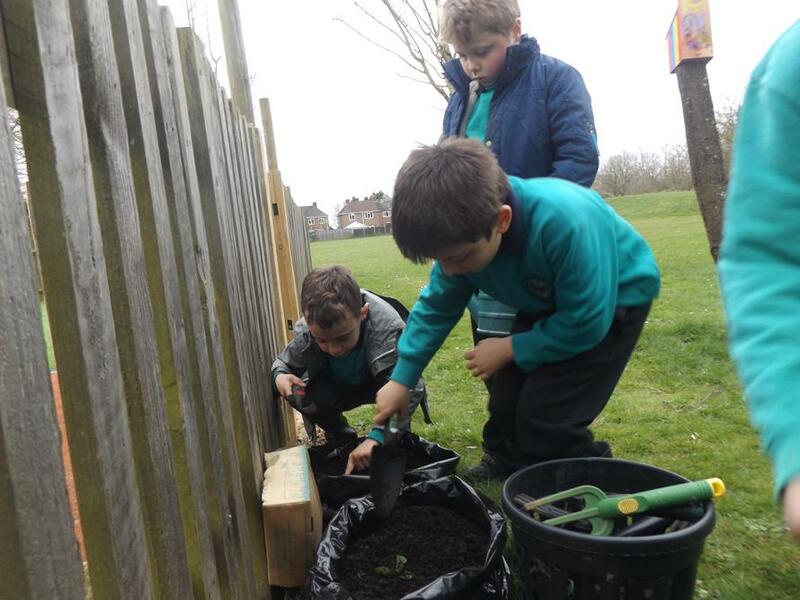 During the Spring term we started a gardening club with selected children in Year 1 and 2. 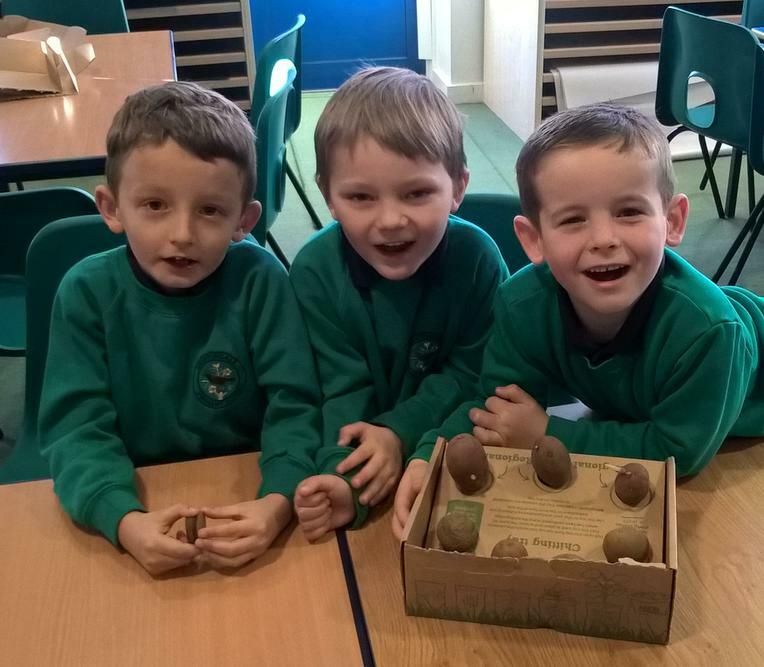 This is an exciting time of the year and we planted potatoes as part of the Grow Your Own Potatoes scheme. 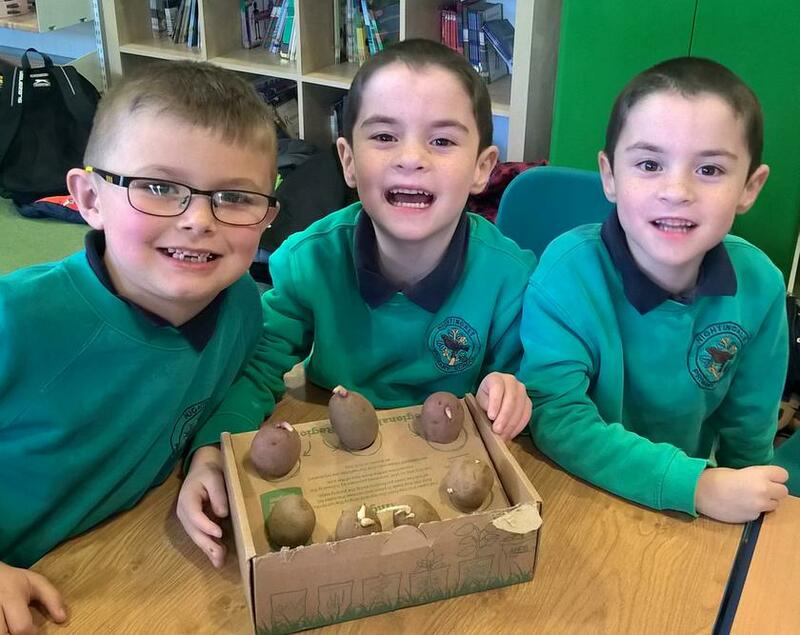 We will be entering our potatoes into the competition in June and then handing these over to the cookery club so that they can prepare a delicious meal using what we have grown. 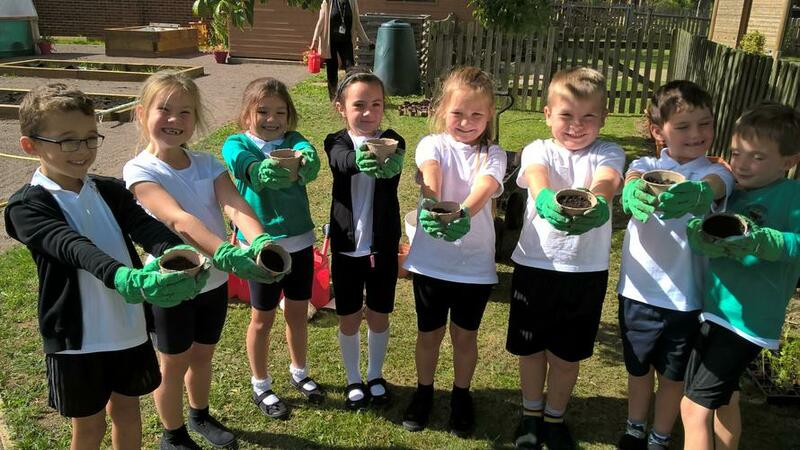 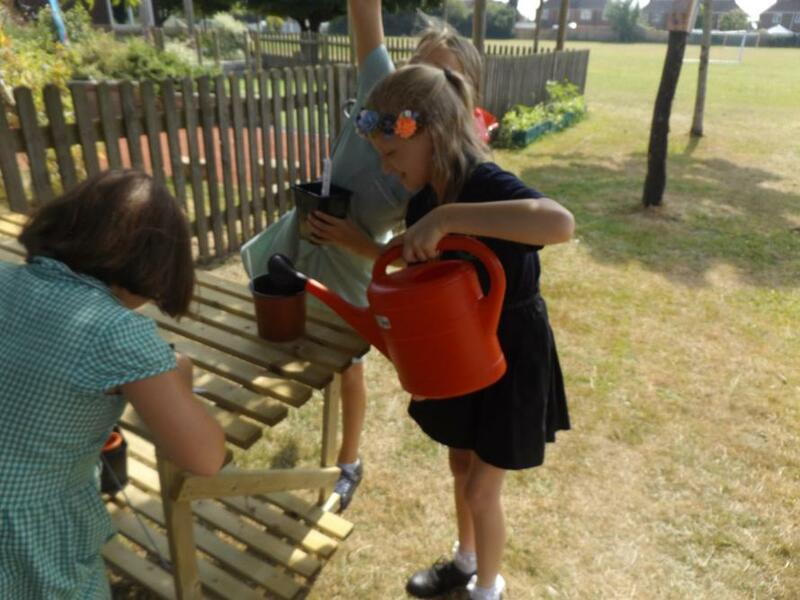 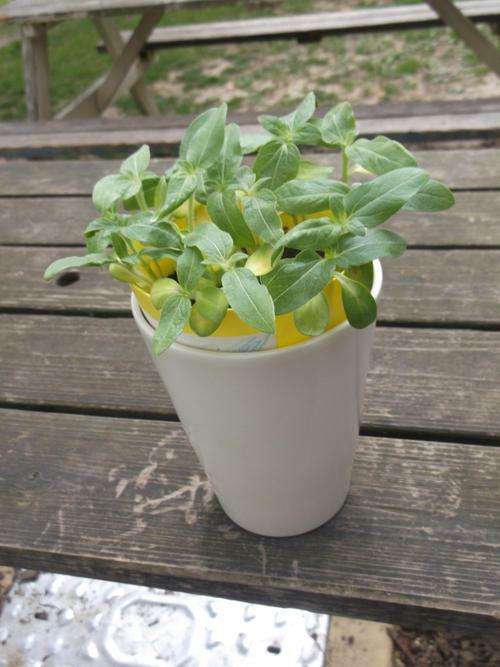 We also planted cress seed heads, made recycled watering bottles out of milk bottles and planted flowers in our new wooden planters. 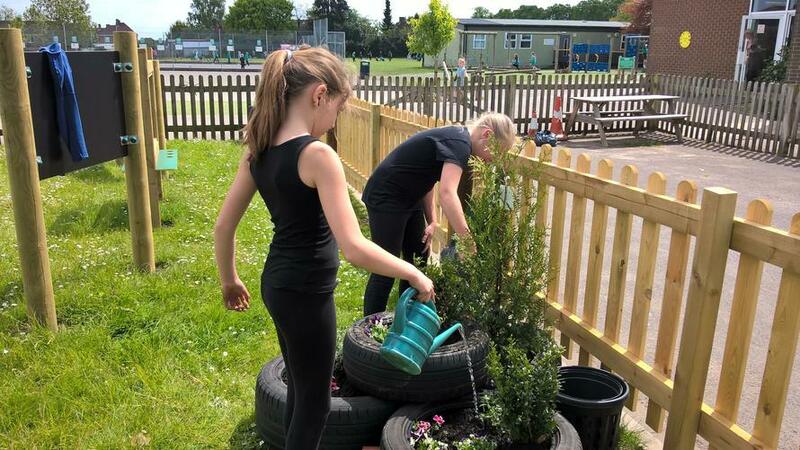 We would like to thank B&Q for the gift card which enabled us to purchase the materials for the planters and some lovely flowers and herbs to go in these. 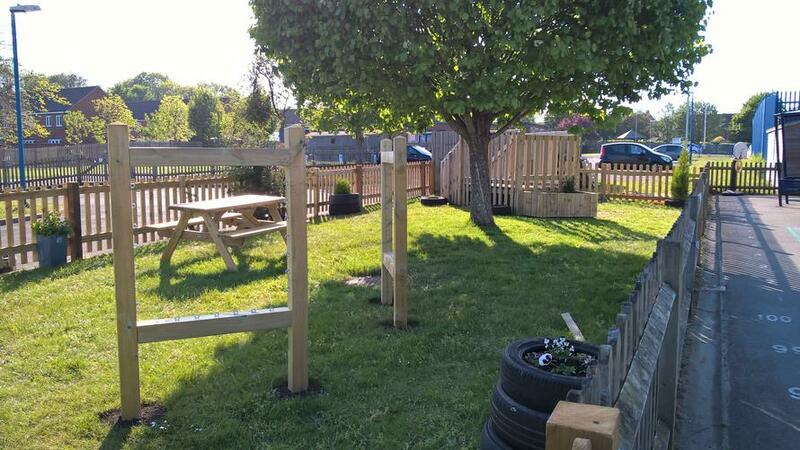 The front of our school entrance certainly looks more inviting. 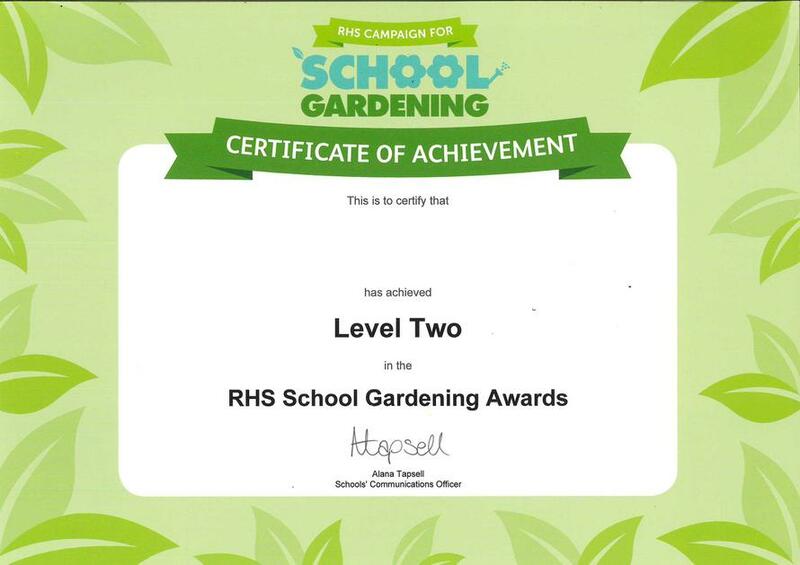 After all of the children's hard work, we are delighted to achieve the Level Two certificate for School Gardening from the RHS society. 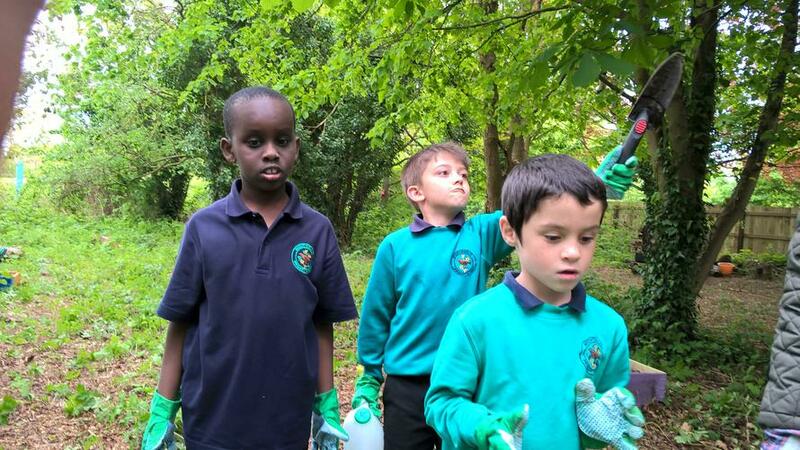 We will shortly be picking a topic to work towards level 3. 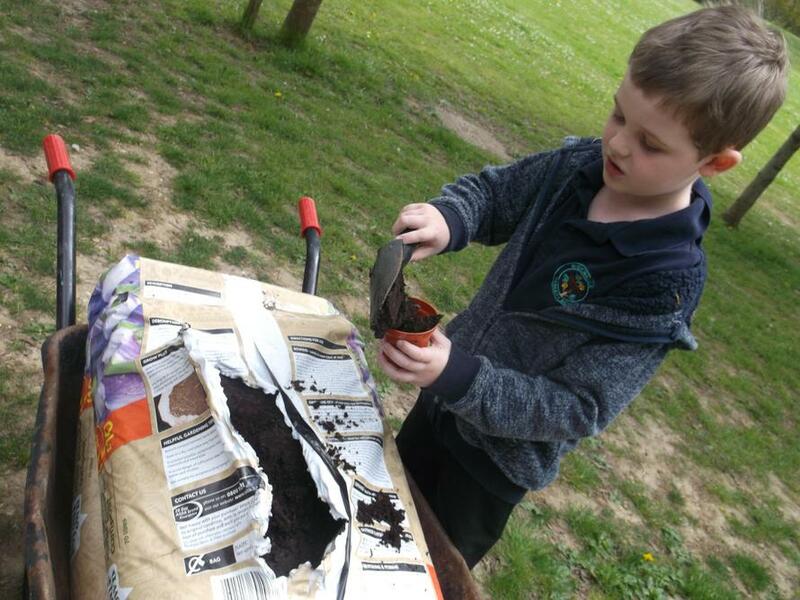 After the Easter break we have been planting some different beans in recycled soft drink bottles used a mini propagators. 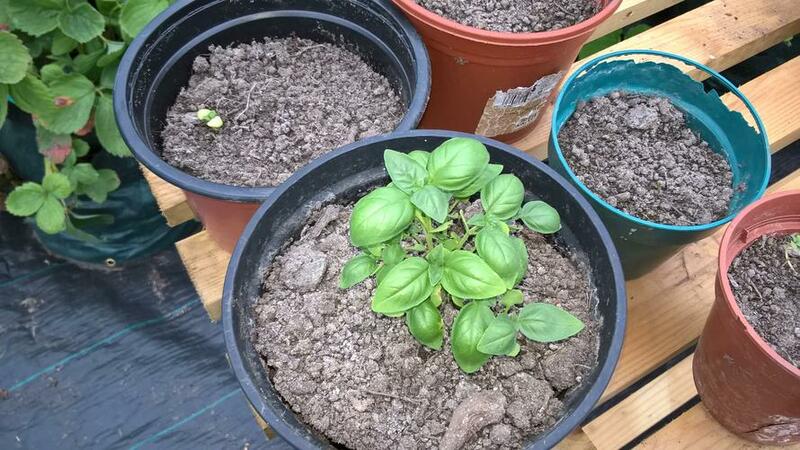 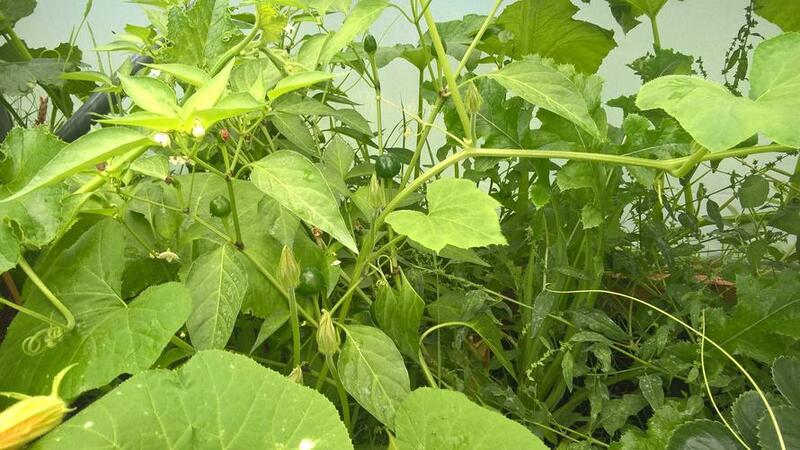 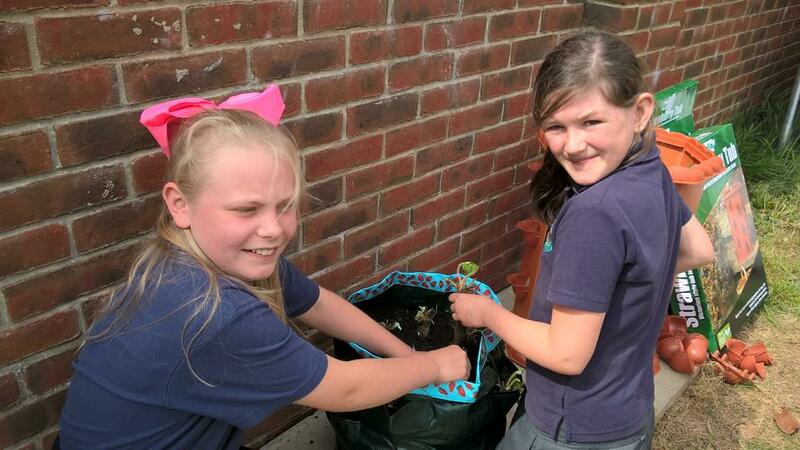 We will also be growing some herbs which will then be used in cookery club. 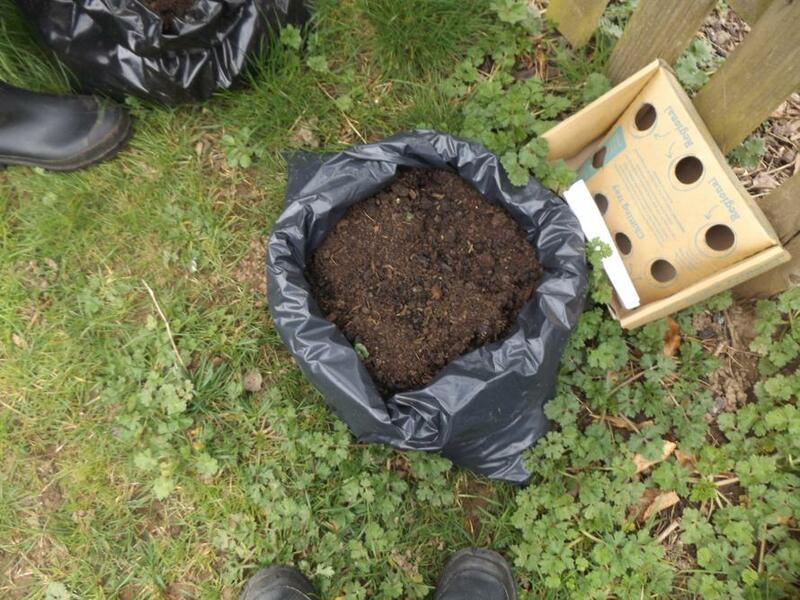 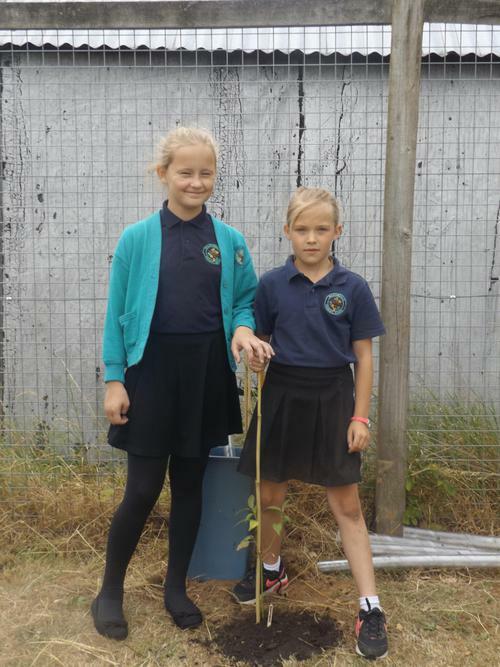 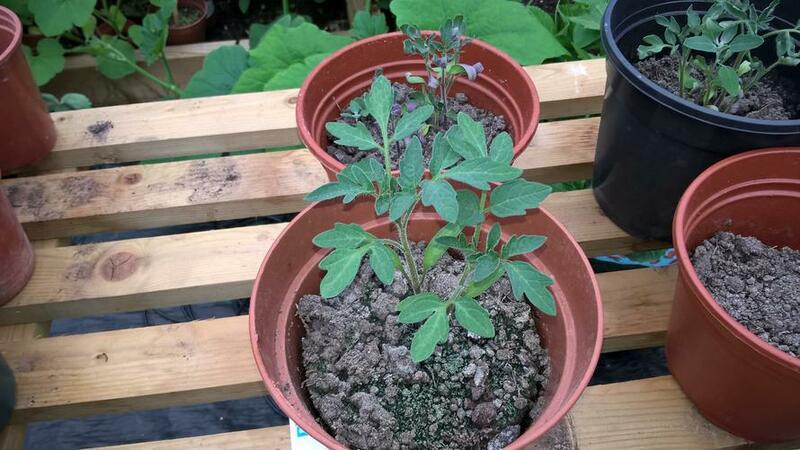 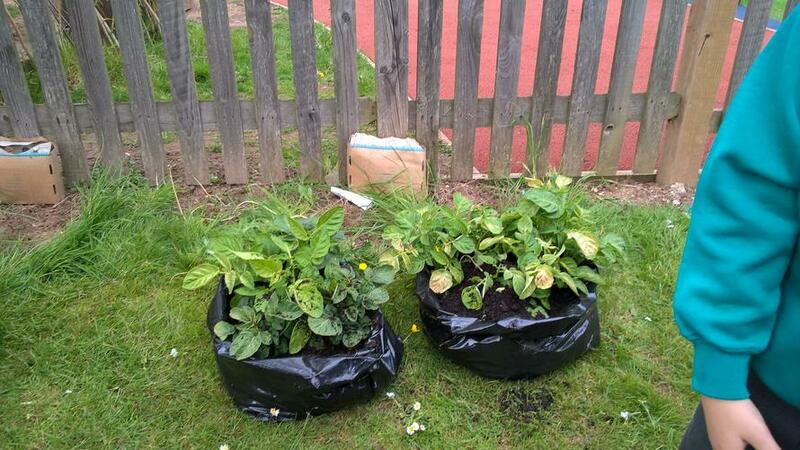 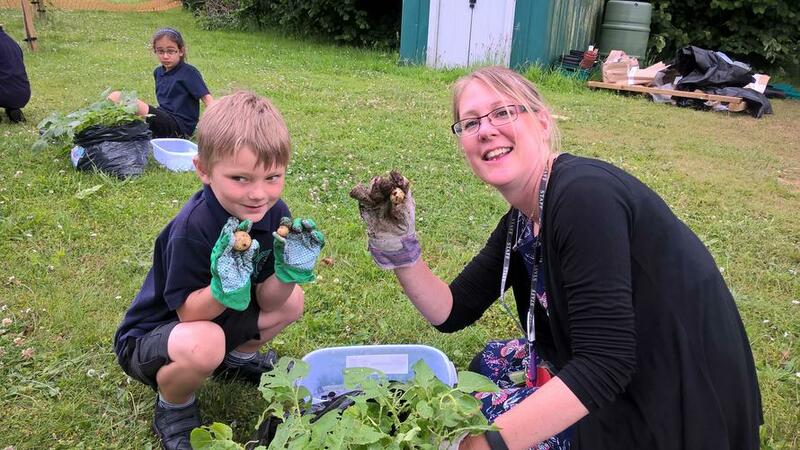 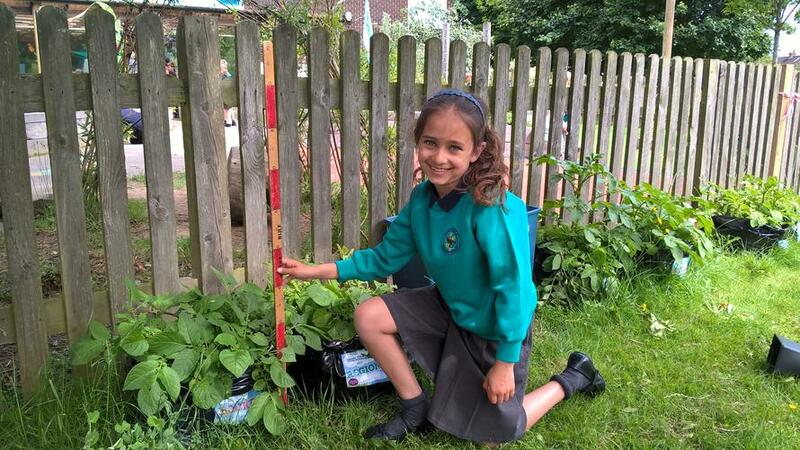 We have been measuring and monitoring our potatoes and these were dug up on 13th June which is the deadline date for the "Grow Your Own Competition" we have entered against other schools. 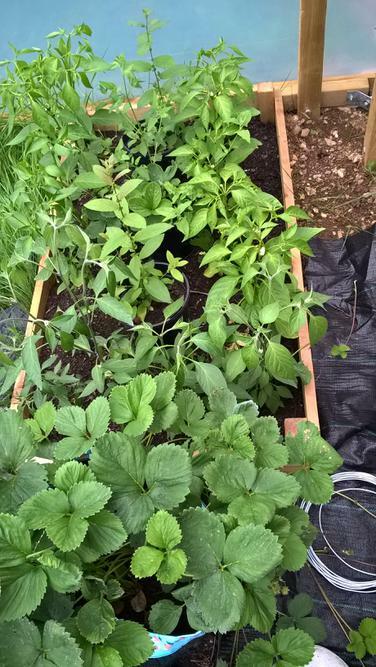 We grew two varieties of potatoes; rocket and regional. 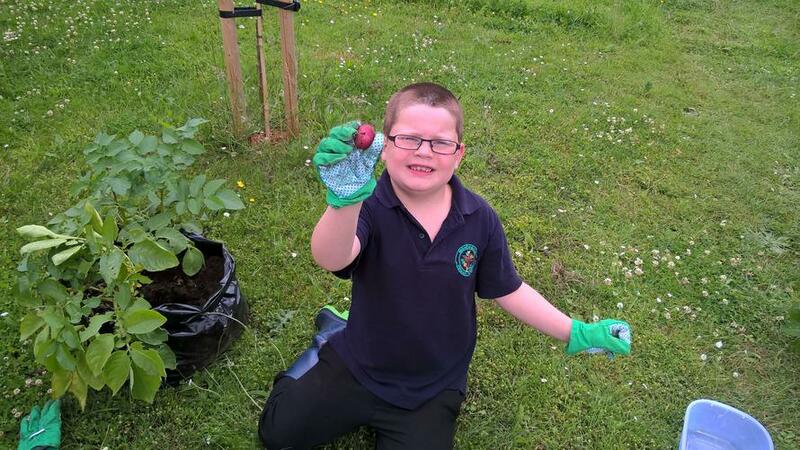 Rocket seemed to produce the biggest potatoes whereas the regional seemed to produce more. 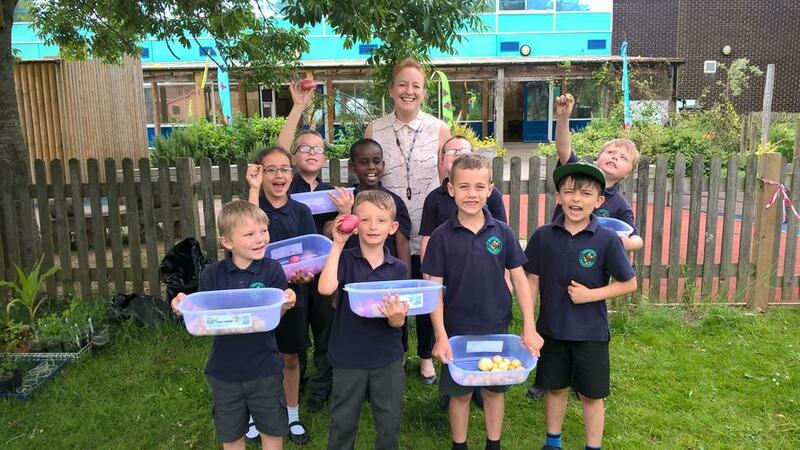 We will be giving our potatoes to Mrs Burtons cookery club so that other children in the school will have the opportunity to cook and taste the produce the children have grown so far, how exciting! 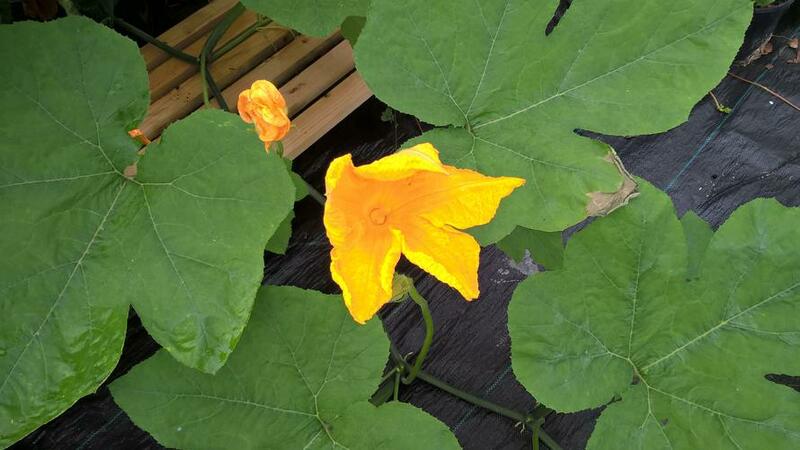 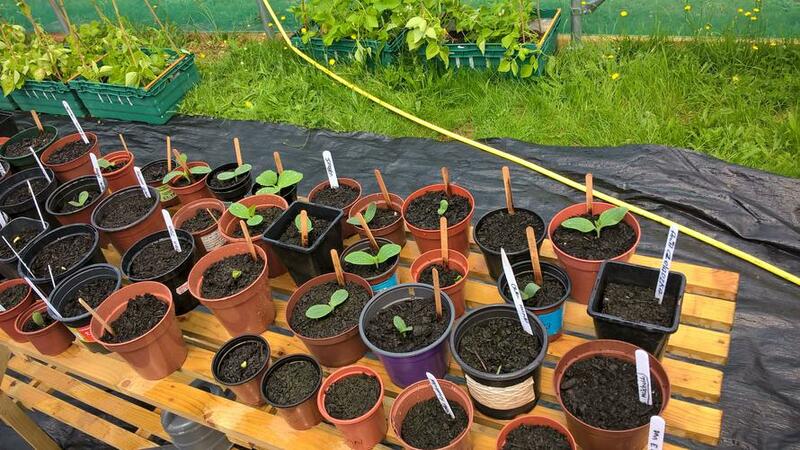 Well we came back from the Summer holidays to find that the pumpkins plants had completely overtaken the polytunnel. 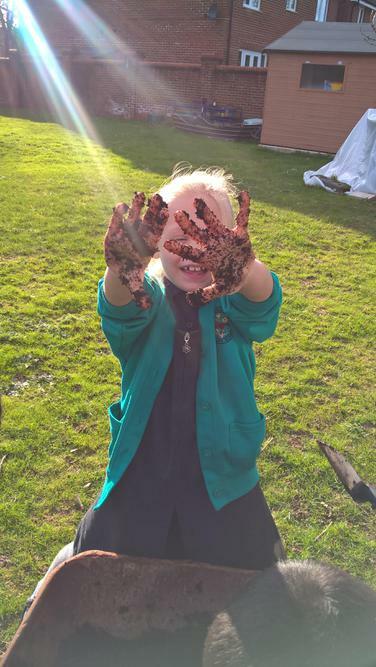 Despite Mrs Holes best slug hunting efforts, sadly they got the better of her and the pumpkins sadly didn't make it to Halloween. 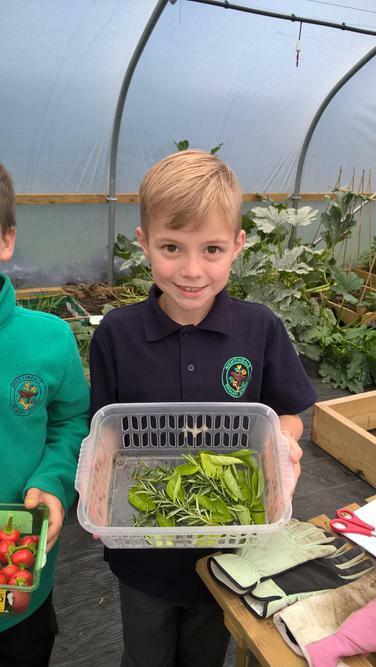 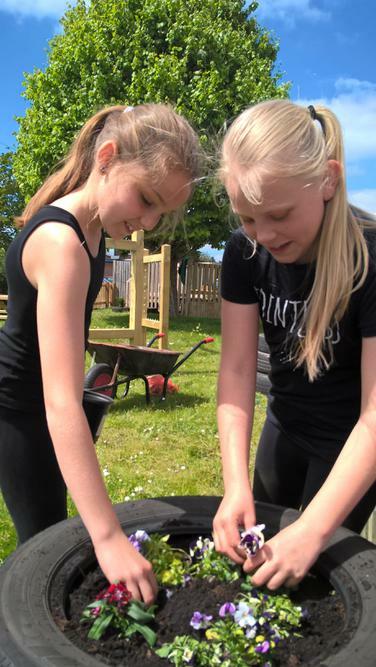 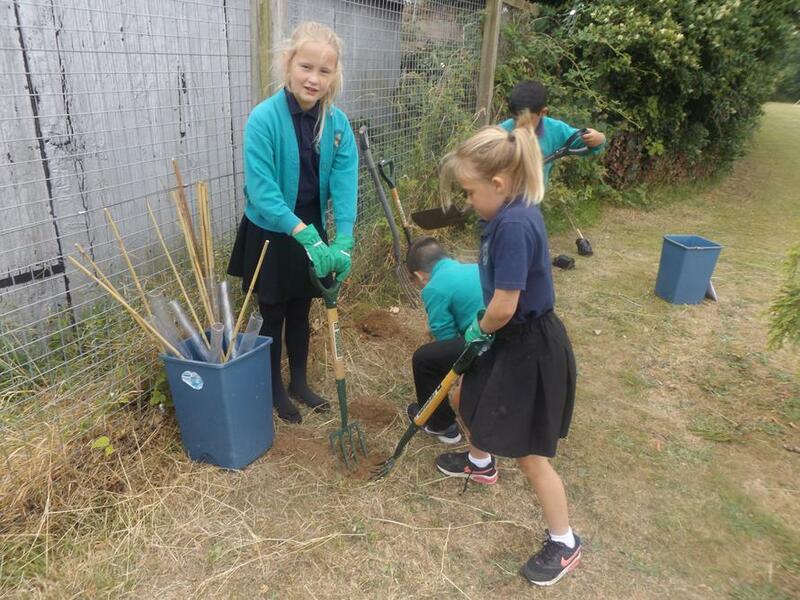 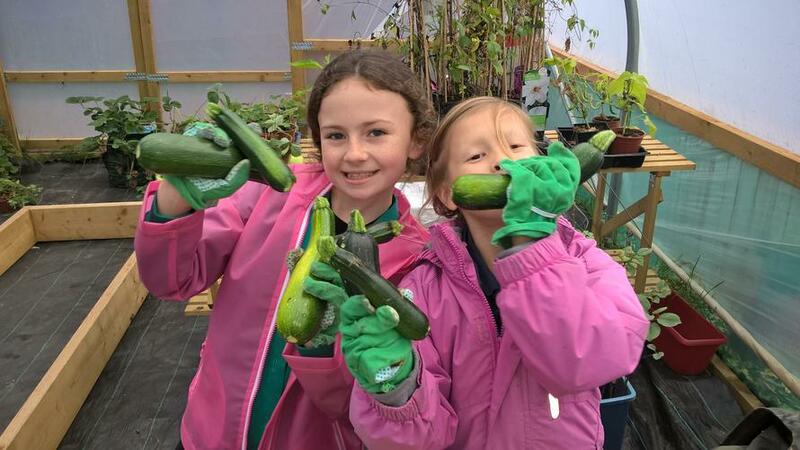 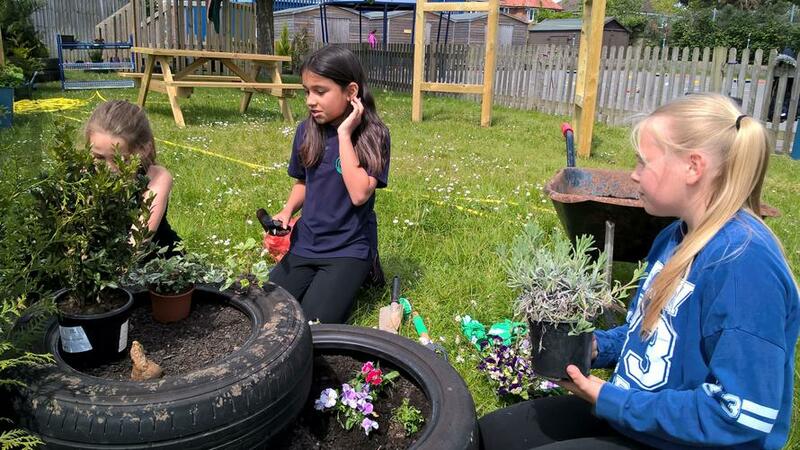 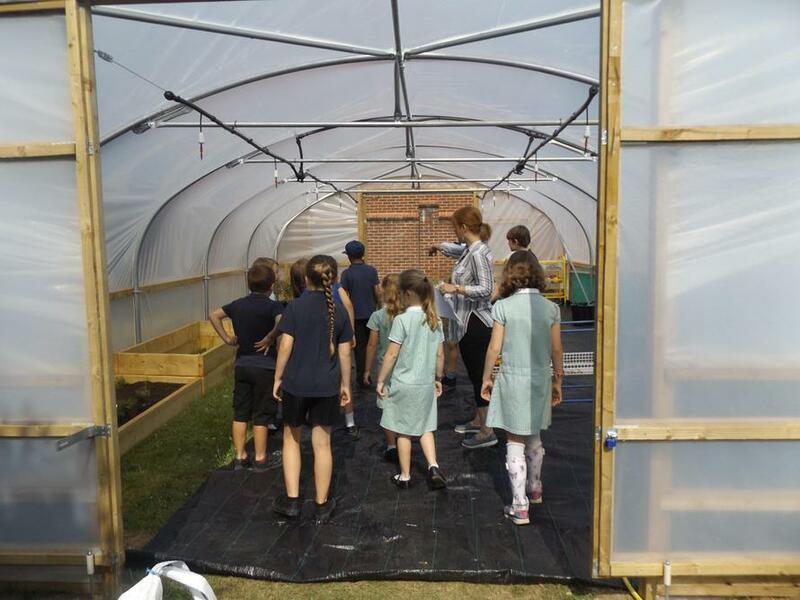 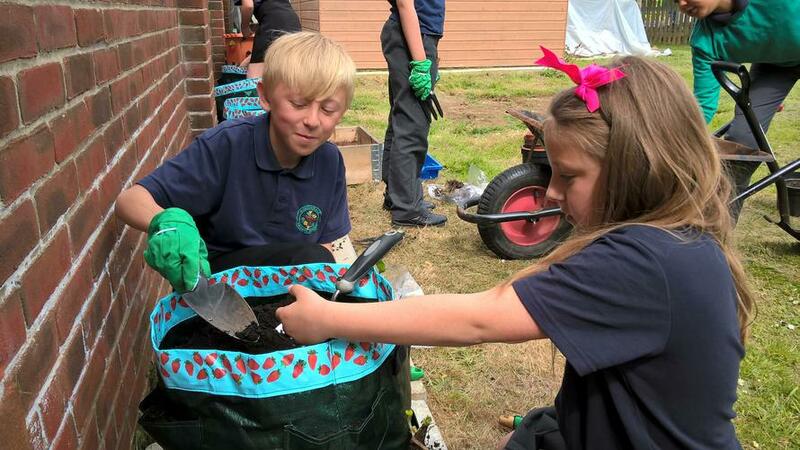 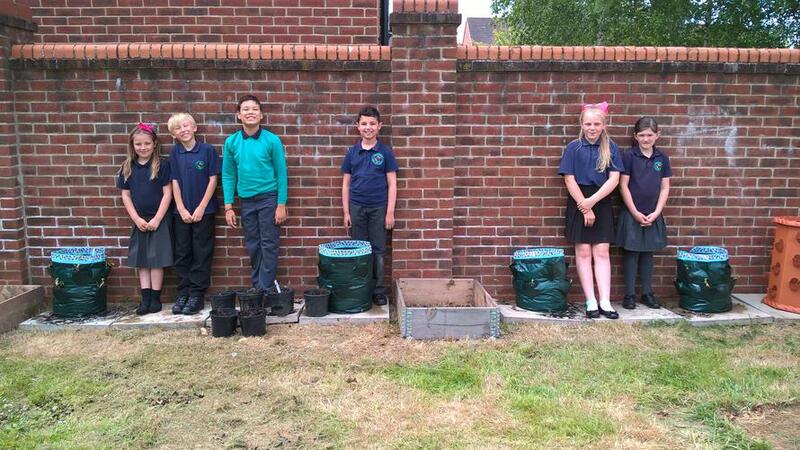 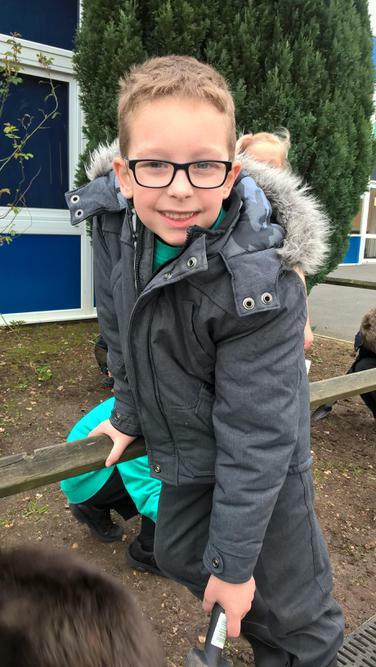 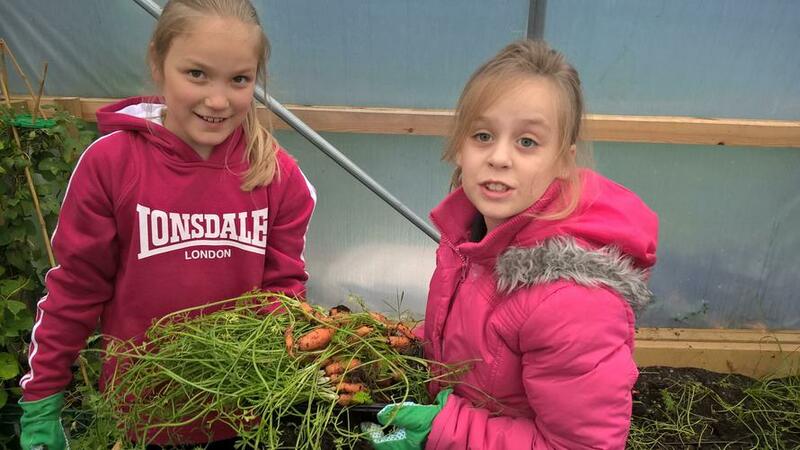 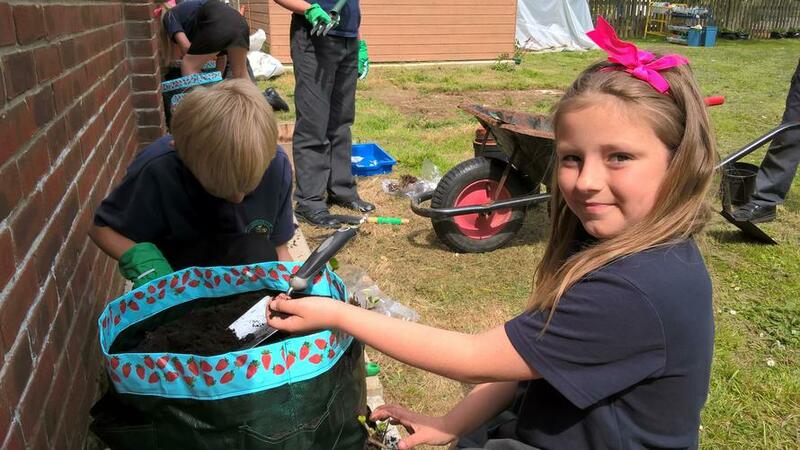 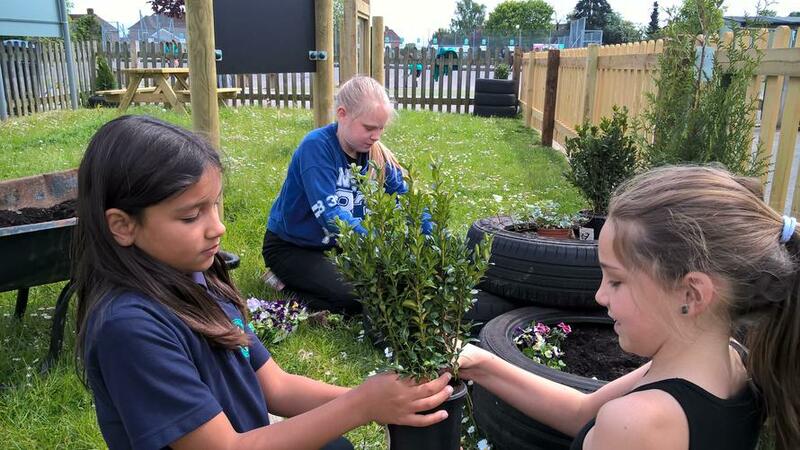 Despite the knock back, we have continued to plant more vegetables such as onions, garlic and broad beans with the new group of gardening club from Year 5. 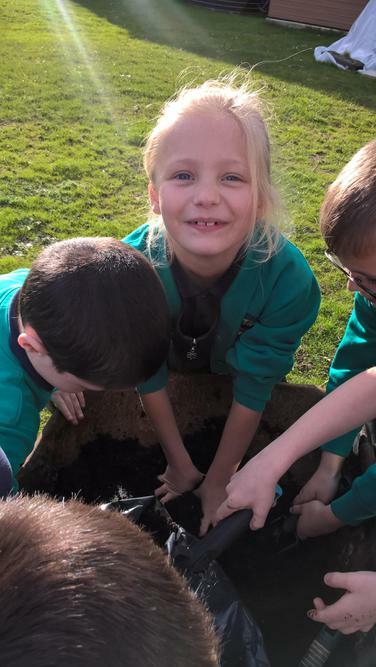 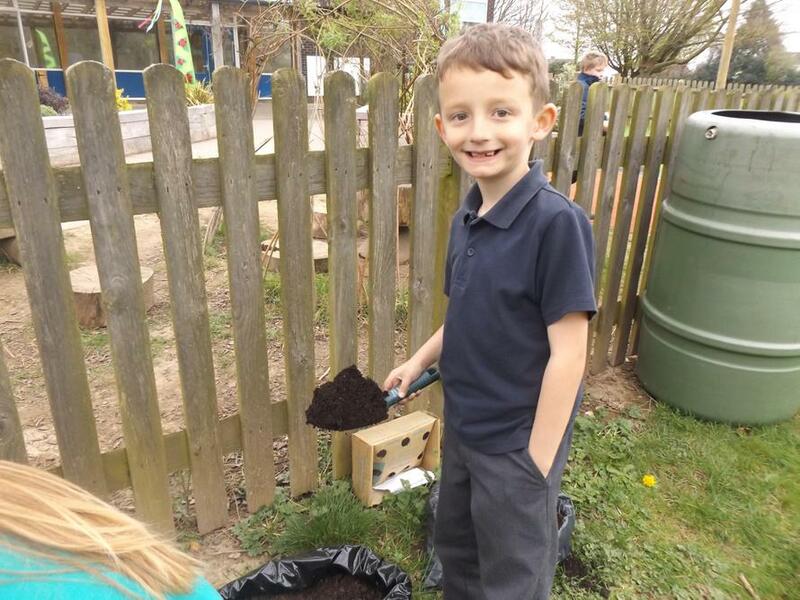 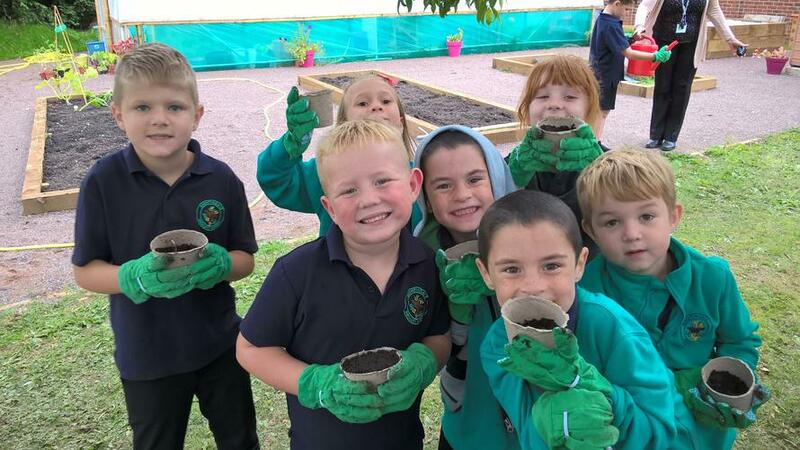 Year 2 also helped plant onion seeds in the outdoor raised beds so fingers crossed we shall have some lovely crops next year. 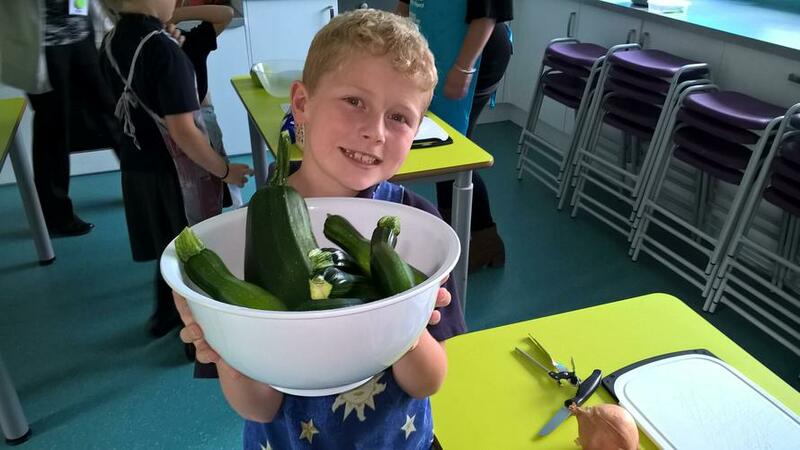 We harvested our courgettes, carrots, chilli's, basil and rosemary to make some delicious soup for The Big Soup project which was fantastic as several year groups were involved in different stages of the process, Gardening club picked the produce, Year 6 cooked and served the soup and Year R children shared the soup with their Grandparents on Grandparents afternoon. 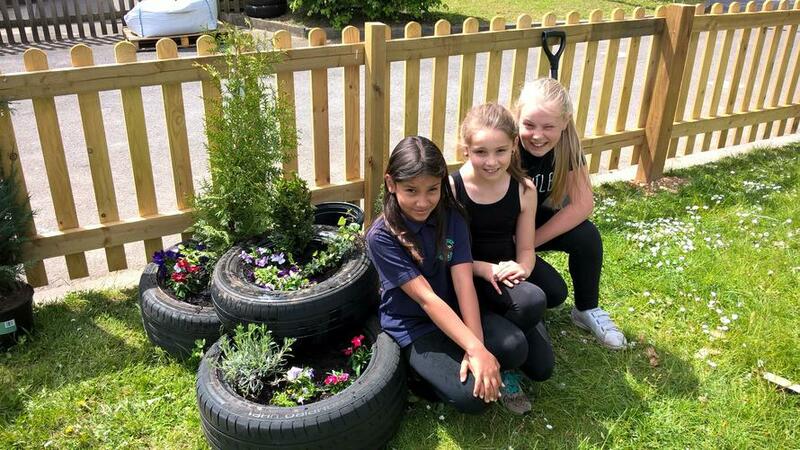 Well done to everyone who took part.